Whilst browsing my Kindle store at the beginning of October, I was in search of something new to read. I do like reading a lot but sometimes I either lose motivation to finish a book or things get in the way or I lost concentration... A lot of things can happen and I never actually get to finish a book. Disclaimer: There are no spoilers in this blog post, but only mentions of what is in the book description which you can find online anywhere. However, this was different - it ticked all the boxes for me. 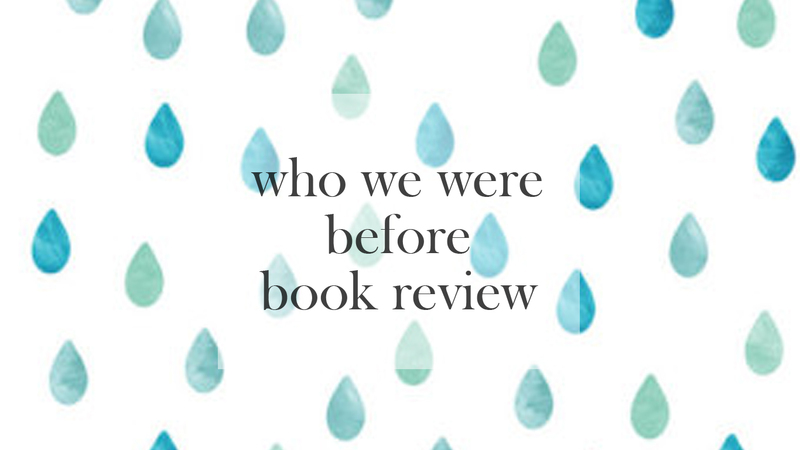 I came across Who We Were Before by Leah Mercer and I saw the front cover (as shown above) and wondered what was luring me in. I can't pin it on colour scheme because my kindle is in black and white, but I knew it was something. I'm the kind of girl who likes to read a variety of different things but lately I've been swinging to the romance kind of books because they give me such a warm and fluffy feeling inside. That, and if I've been waiting for a couple to get together I essentially fangirl inside and get all giddy because I'm happy about it. Okay, so Who We Were Before is about a couple named Edward and Zoe, and after two years since the incident involving their son passing away, everyday seems like a struggle and nothing seems like it'll be happy again - according to Zoe. She blames herself constantly for the death of their son and Edward wants to take time and steps towards healing for them both but an unfortunate mischance sees them to be separate whilst on a trip to Gare du Nord in France. Whilst they're in France they're both wondering if they can go back to being who they were before, but can they? Honestly, this book seemed like a mystery and I had the initial thought throughout the entire book hoping for one outcome to actually be brought with another. I'm not going to spoil anything because I want you all to see it for yourselves what is the best book I've read this year. I love a fluffy romance where everything is rosy perfect, but this book shows that not every relationship is a Disney story where everything is set in stone and nothing ever goes wrong. It displays real life dynamics and reactions to things. The way Leah wrote the book is that it flips between different time periods, one period is present day and the other is the lead up from the beginning of their relationship. Personally, I love Zoe and Edward and how their romance started - it reminds me of the relationships you see in every day life and you don't actually sit there and think "Oh yeah, that'd never happen in real life" because these things do. The times when you go to meet someone and timings go a bit wrong and it doesn't happen, moving in with each other, having a child together, going away together... It's your every day relationship happenings and I love that Leah doesn't make the book unrealistic, nor predictable - but damn, the ending surprised me! I would honestly recommend this book to anyone, especially those who love a good book and want to dip into a different kind of romance book and I cannot wait for more of Leah's books. A definite 10/10. 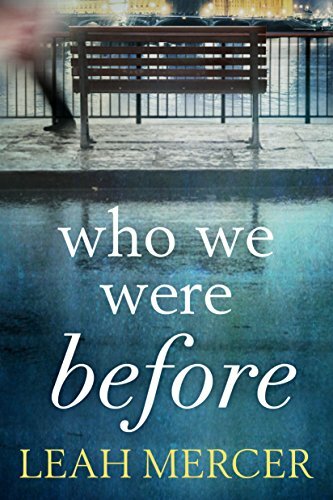 To purchase Who We Were Before (currently £8.99 on Amazon or £3.98 on Kindle/free with Kindle Unlimited), check out this link to Amazon (UK) and if you'd like to read more about Leah, check out her website here and Twitter here. I love books that showcase realistic relationships so this definitely looks like a read I'd be interested in! Like you say, Disney-esq romances aren't always the most engaging as nobody's lives are actually like that! Thank you for keeping the review spoiler-free too! Me too! I mean I'm all for Disney romance because it's slushy and sweet, but I do like things that resemble real life things. No problem at all! I'm a kind of person who doesn't mind spoilers but I know a lot of people hate it, but if I ever write anything else like this in the future I'll keep it spoiler free! Before I even read the post, the title caught my eye! I want to go read this book. I've been looking for book suggestions and now I found the person who may be able to help me hahaha. If it's book reviews you want, I'll definitely do some more! I wanted to write this one because it's quite different to your typical run of the mill romance book and I admit I actually did cry whilst reading it! A blogger friend of mine also does book reviews and she's over at: http://pinklemonadeandpaperbacks.blogspot.co.uk/ - so I recommend Shannon's blog too! You and me both! I usually go for fantasy kind of books or crime books, but I did want to give this one a go and it kept me on my toes so much. When I thought I figured out what was going to happily, I was definitely mistaken. She's a good writer too and I really want to read more from her! I'm definitely going to have to add this on my books to read list! Currently I'm reading Hollow City and then The Selection and now I'll have to add this book after those- it seems really interesting. I love books that I can't predict what's going to happen next, always keep me on my toes! Go for it! It's definitely worth a read. Admittedly I thought it was going to be a typical romance novel but when I got into it, I actually loved it. I'll happily read it again and will probably end up doing it soon!